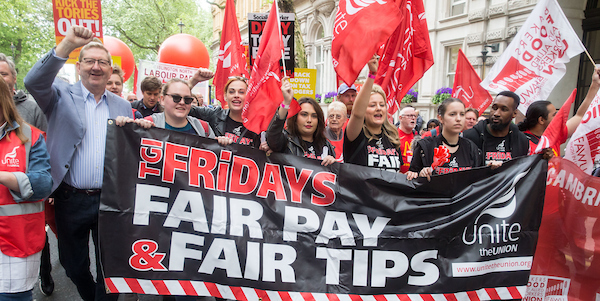 Ahead of today’s (March 16) private members’ bill to outlaw unpaid trial shifts, members of Unite, working for the American dining chain TGI Fridays, have revealed that the company uses unpaid trial shifts for up to six hours. The revelation comes just days after TGI Fridays was ‘named and shamed’ by the government for failing to pay workers the legal minimum wage. The company is also under fire by Unite over its decision to take 40 per cent of waiters’ card tips without proper consultation. 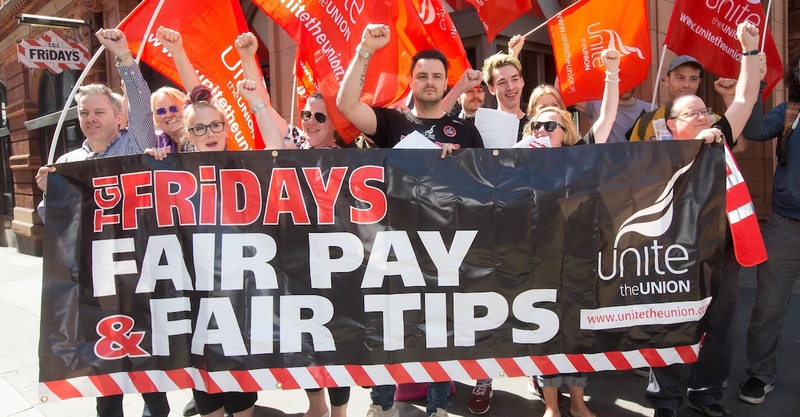 A recent snapshot poll of Unite members, working at TGI Fridays, has revealed that of the 95 who responded 76 had worked an unpaid shift before being hired, of these 43 worked around a two hour unpaid trial shift, with a further 27 working for more than two hours. One waitress, Unite spoke to said that she was asked to do a two hour on job experience (OJE),TGI Friday’s term for trial shifts, which ended up being six hours as the restaurant was so busy and short staffed. She has never been paid for those hours, despite being hired immediately. Unite is urging MPs to vote on Glasgow South MP Stewart McDonald’s private members’ bill to ban unpaid trial shifts across the UK and ensure that workers are paid for every hour they work. 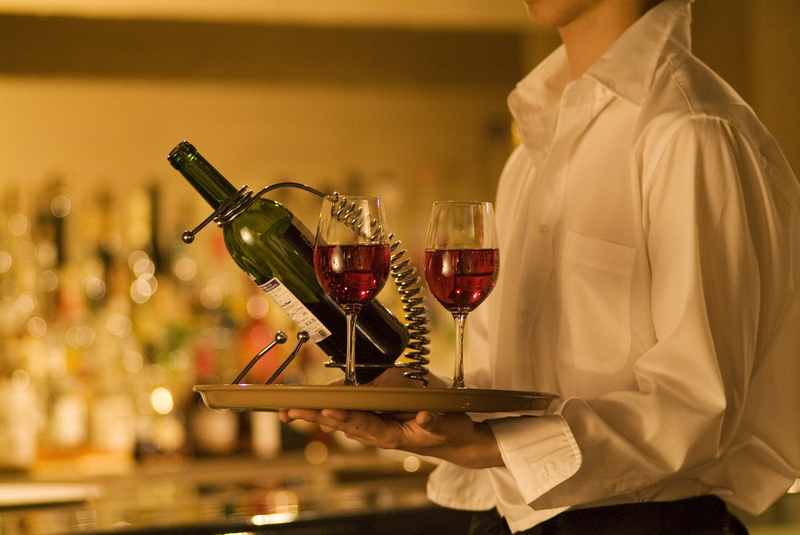 “This is yet another example of employers in the hospitality sector shamelessly exploiting a loophole in minimum wage law and then claiming it is ‘standard industry practice’ when challenged,” said Unite regional officer Dave Turnbull. “Essentially what TGI Fridays and others are doing by not paying for trial shifts is making workers pay the equivalent of £7.50 an hour, the UK national living wage for 25 year olds and over, for each hour they spend going through the selection process. “Unless and until this government acts to stamp out the industry’s worst excesses, including taking action on bad tipping practices, which it promised to do over 600 days ago – workers will continue to be exploited by unscrupulous bosses,” he added. TGI Fridays, which topped a list of firms ‘named and shamed’ by government for failing to pay workers the legal minimum wage, had to repay £59,348 to 2,302 workers in relation to asking them to purchase black shoes as part of a uniform.